Beginning in the wee hours of the morning on November 23, millions of shoppers hit the stores to kick off the 2018 holiday shopping season—spending an estimated $23 billion dollars in the process. Now that the holiday season is officially here, many would say that we’re entering the “most wonderful time of the year”, however, it’s also the busiest time of the year, especially for those who work in or frequently visit retail stores. Just how busy will retailers be this holiday season? According to a recent Forbes article, Black Friday sales were nearly 10% higher than last year. Similarly, if all remains constant, overall holiday shopping spend is also expected to be greater than last year, with 6% anticipated growth. While increased sales and store traffic are certainly beneficial for retailers, they also bring about their own unique set of challenges every holiday season. With more traffic and larger amounts of inventory heading out the door, it’s crucial that retailers are able to continue to meet shoppers’ demand, provide excellent customer service, and enable shoppers to locate and purchase what they need in a timely manner. While well-trained employees certainly play a key role in meeting all of these challenges, retail kiosks of all kinds, from endless aisle, to self-checkout, customer loyalty, and smart lockers can help. As retailers’ online presence has grown, customers have come to expect instant access to a wide variety of product choices. While retailers have the ability to showcase all of their inventory online, it’s nearly impossible for them to hold all of their inventory in-stock across every store. 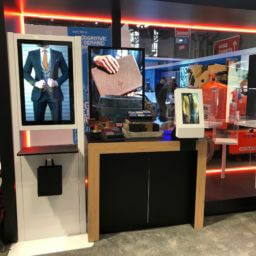 Endless aisle kiosks offer the best of both worlds—customers can browse a store’s physical inventory while in-store, but also use the kiosk to explore additional colors, styles, sizes, and more through online store access. To make things even easier, if customers find an online item that they want, they are able to select and pay for that item directly from the kiosk—saving both the customer’s and store employee’s time. While some shoppers prefer the traditional checkout experience, if given the chance, many opt for a more expedited self-checkout option. In fact, according to a 2018 survey, a whopping 66% of shoppers indicated that self-service technology was actually their preference. Similarly to the traditional checkout process, self-checkout kiosks can be designed to accept a variety of different payment options, incorporate any additional necessary components like RFID scanners, and can notify a store employee if a shopper needs help. 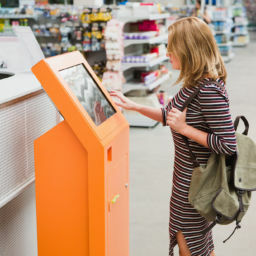 Best of all, self-checkout kiosks allow shoppers to quickly scan, pay for, and bag their items without having to wait in long lines. While some shoppers prefer to spread their purchases out across a variety of retailers, others opt to frequently return to a handful of specific stores. 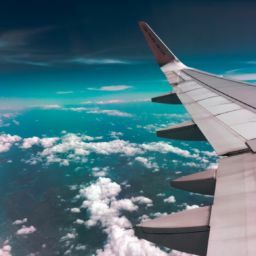 For those who find themselves visiting the same stores on a regular basis, or even those who only visit once in a while, shopper loyalty cards and programs are often enticing, as they can offer discounts, coupons, and rewards. Providing a designated kiosk on which shoppers can enroll in such programs increases the likelihood for enrollment and also expedites the check-out process, where customers would have previously been given instructions for enrollment by a cashier. As consumers continue to lead busy lives, their time continues to be one of their most valuable assets. By default, this means that retailers who offer convenient solutions and shopping opportunities are typically viewed by shoppers in a positive light. Smart lockers offer a versatile solution that allows shoppers to place and pay for their order online ahead of time, and then pick it up at their convenience with either a numerical or QR code. While “Buy Online Pick-up In Store” (BOPIS) options are becoming more mainstream across the board, they aren’t all created equal. Most BOPIS options require that customers come into the store, and others even require an employee to retrieve the shopper’s order for them. Smart lockers, on the other hand, are both efficient and can be conveniently located. In fact, if positioned outside the store, smart lockers can even offer the option for shoppers to securely pick up their order before the store opens in the morning or long after they have closed for the night. Despite increases in online purchases, consumers are still turning to brick and mortar stores to meet their holiday shopping needs—especially those who find ways to incorporate efficient, user-friendly technology into the shopper experience. As retailers’ focus on the overall shopper experience continues to grow in importance, the value of retail kiosks can also be expected to continue to rise. 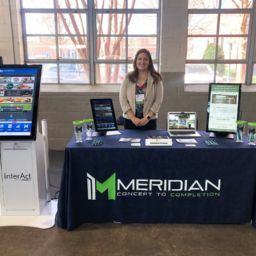 To learn more about Meridian’s retail kiosks, visit www.meridiankiosks.com.